IT8600 is ITECH latest series of AC/DC electronic loads with power range 0~14.4 kVA and adjustable frequency 45 Hz ~ 450 Hz. The unique oscilloscope waveform display function of IT8600's can display input voltage & current as waveform. It is equipped with measurement modes for different parameters such as inrush current, peak value, effective value, PF (power factor). 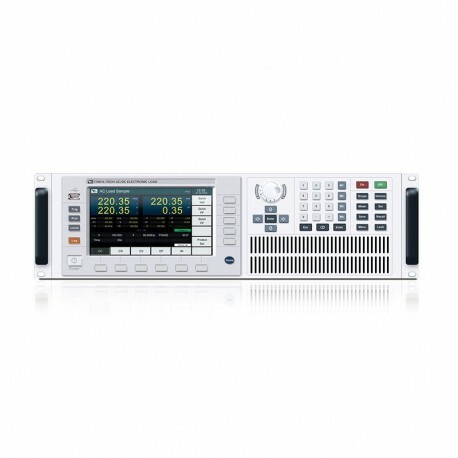 Voltage harmonics measurement capacity is up to 50th. The built-in RS232, GPIB, LAN and USB communication interfaces are for reliable and fast control. IT8600 is the perfect solution for testing UPS, inverters, AC power supplies and relevant AC electronic components etc. IT8600 provides 7 inch LCD display screen, easy user interface. Give full consideration to engineers' requirements in different tests, IT8600 not only can display multiple parameters simultaneously,but also has diversified display modes for choice, such as waveform, histogram and list etc. 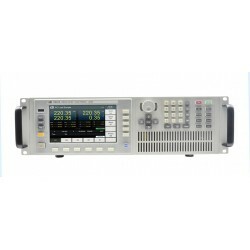 IT8600 provides powerful data measurement function, which can not only support measurement of conventional parameters such as Vrms, Vpk, Vdc, Irms, Ipk, Idc, W, VA, VAR, CF, PF and Freq, but also provide unique voltage harmonic analysis function to verify the harmonic interference of the object (UPS, generators, etc.) to be measured over the grid. The harmonic measurement function supports analysis up to the 50th voltage harmonic and it can display the percentage of each harmonic analysis results in different forms. measured. Through the screenshot function key to save the current screen picture to peripheral storage disk by the front USB interface, easy for the second analysis.